IPL 2019 SRH vs DC Live Cricket Match Score Streaming Online via Hotstar, Star Sports 1, Jio TV, Airtel TV: Here is how you can watch the IPL match live on your smartphone via Hotstar, JioTV. 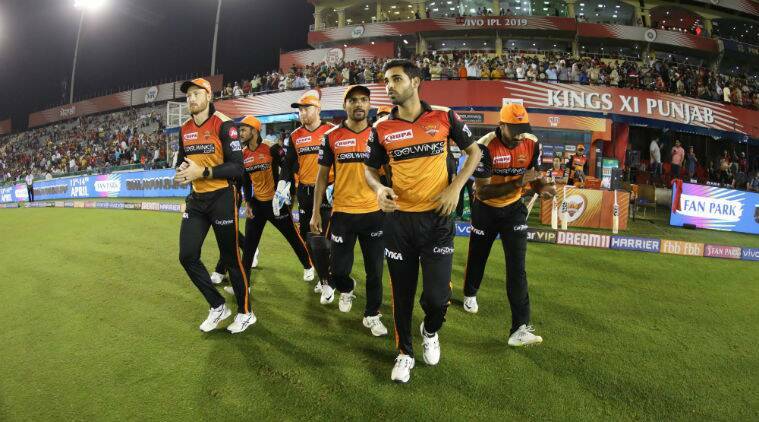 IPL 2019 SRH vs DC Live Match Cricket Score Streaming Online: The 30th match of the 12th season of the Indian Premier League (IPL) will be played between the Sunrisers Hyderabad (SRH) and the Delhi Capitals (DD). The SRH won the toss and decided to bowl first. The match has started at 8:00 pm today. It is being played at the Rajiv Gandhi International Stadium. On the IPL 2019 table, SRH is at sixth spot with six points and a 3:3 win-loss score whereas the DC is at the fourth position with eight points and a 4:3 win-loss score. Here is how you can watch the SRH vs DC IPL 2019 match live on your smartphone. Reliance Jio has partnered with Hotstar to stream the IPL matches live on the JioTV app. To livestream the cricket match on your smartphone, you need to have an active data tariff on the Jio SIM along with the Jio Prime membership costing Rs 99 per year. The app is available on Android and iOS. Apart from the JioTV app, the users need to install the Hotstar app on their smartphone. The match will be played on the app but users will not need to pay any additional charge or membership cost to the Hotstar. All the IPL matches are broadcasting on Star Sports channels– Star Sports 1, Star Sports 1 HD, and other Star Sports channels streaming languages other than English. The matches are also streamed directly on the Hotstar app. Users can install the app and need to subscribe one of the premium accounts — Hotstar Premium, Hotstar VIP membership — available with the service. The Hotstar Premium account costs Rs 199 per month and Rs 999 per year. The VIP membership of Hotstar costs Rs 365 per year. The app is available on Android, iOS and the web as well.